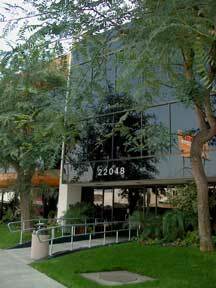 Our Head Office is located in Canoga Park, Los Angeles County, California. We are not just any dot com company. Our company has a very strong base with many years of travel experience long before the internet age. Our subsidary P J Travel Service earned Airlines Corporation's accredition over 29 years ago in 1977 with the authority to issue Airlines Tickets. Our company subsequently incorporated in 1993 in the Golden State of California, U.S.A. Inaddition to being agent for the Airlines we are also agents to the most well known and reputable Cruise Lines, Tour Operators many of whom belong to USTOA which means that our clients are financially protected upto 1 million dollar. Destinations Speciallist: Alaska, Aruba, Bavarian (Germany), Caribbean, Central America, Central Europe, Costa Rica, Florida, Greece, Jamaica, New Europe (Formerly Eastern Europe), Hawaii, Poipu Beach, Kaua'i, Pennsylvania, Las Vegas, Portugal, Mexico, Cancun, Cayman Islands, Lucaya, Bahamas, Curacao, Puerto Rico, Quebec, Scandinavia, Italy, Israel, Hong Kong, Japan, Thailand, Singapore, Turkey, Brazil, New Mexico, Tahiti Tiare. Cruises Speciallist: Cunard, Crystal Cruises, Princess Cruises, Norwegian Cruise Line, World's Leading Cruise Lines (Cunard, Holland America, Seabourn, Carnival, Costa), Special Expeditions. Tours Speciallist: Globus & Cosmo, Gray Line of Alaska, DER Travel Service. Hotels & Resorts Speciallist: Marriott, Starwood, MGM Grand Hotel & Casino, Mirage Resorts, Hyatt Resorts, Sol Melia, Millennium Hotels, Corpthorne Hotels, Outrigger Hotels, Club Med, Superclub, Sandals, Palace Resorts, Six Continents Hotel (Inter-Continental Hotels & Resorts, Crowne Plaza Hotels & Resorts, Holiday Inn Hotels & Resorts, Holiday Inn Express, Staybridge Suites by Holiday Inn), Prince Resorts Hawaii.